With your host, Dr. Carey Pabouet-Sigafoose. What is “Thought” to you? Is it just a random thing or is it what controls our every outcome? I mean, come on, we all know that if you can think it you can have it, so what is keeping you back from becoming the person you know that you are? Your “thoughts” are not just about who you think you are, they are who you will become or already are. Dr. Carey Sigafoose, a chiropractor and speaker, is the youngest son of Dr. James Sigafoose. During his life, Dr. James Sigafoose devoted his time to speaking worldwide about chiropractic philosophy. After his father’s passing, Dr. Carey decided to continue the legacy of educating chiropractors. He digitized much of his father’s work, and created an online store, Sigafoose.com, so anyone could access the incredible information his father had provided throughout the years. 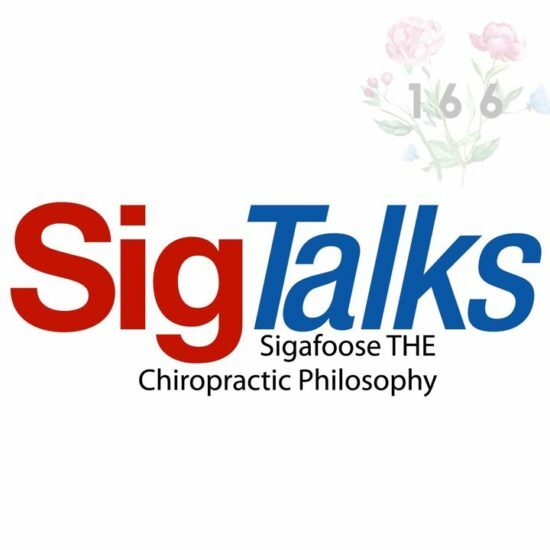 From there, SigTalks, a chiropractic podcast was born.